Aspen Comics at LBCE 2019 this weekend! 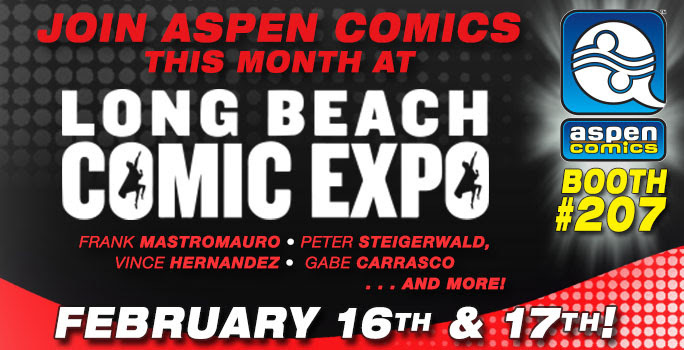 Aspen Comics will be appearing at their first convention of 2019 this weekend at The Long Beach Comic Expo 2019 at the Long Beach Convention Center. Aspen creators Frank Mastromauro (Overtaken, Shrugged), Peter Steigerwald (The ZooHunters), Gabe Carrasco (Portal Bound) and Vince Hernandez (Fathom, Artifact One) will be appearing both days at the Aspen Comics Booth #207. 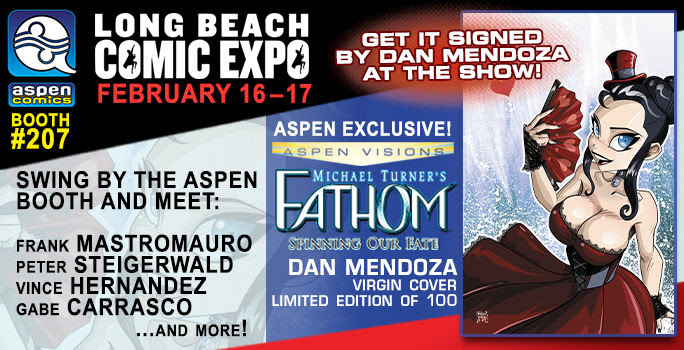 Fans can also pick up Aspen’s first con-exclusive variant of the year, the Aspen Visions: Fathom#1 Dan Mendoza Long Beach Comic Expo exclusive limited to 100 copies, only available at the Aspen Comics Booth. 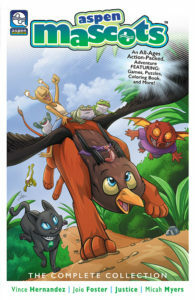 The publisher will also be offering a limited quantity of their hottest con-exclusive items from last year in addition to a host of new titles and trade paperbacks including the new Aspen Mascots all-ages activity trade paperback in stores this week.